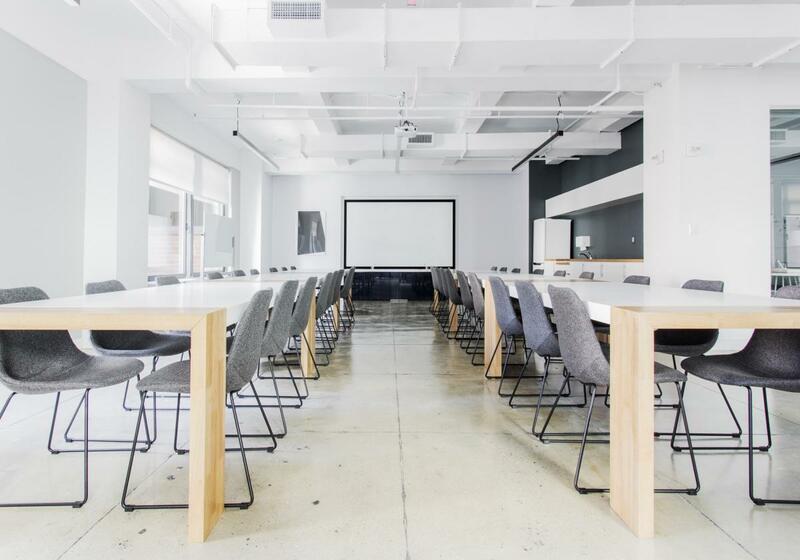 Breather is an on­-demand network of beautiful meeting spaces in Midtown that can be instantly reserved online. Rent one of our spaces for an hour-long recharge or a full day of productivity — it’s up to you. Browse and instantly book professional and private spaces in your neighborhood. 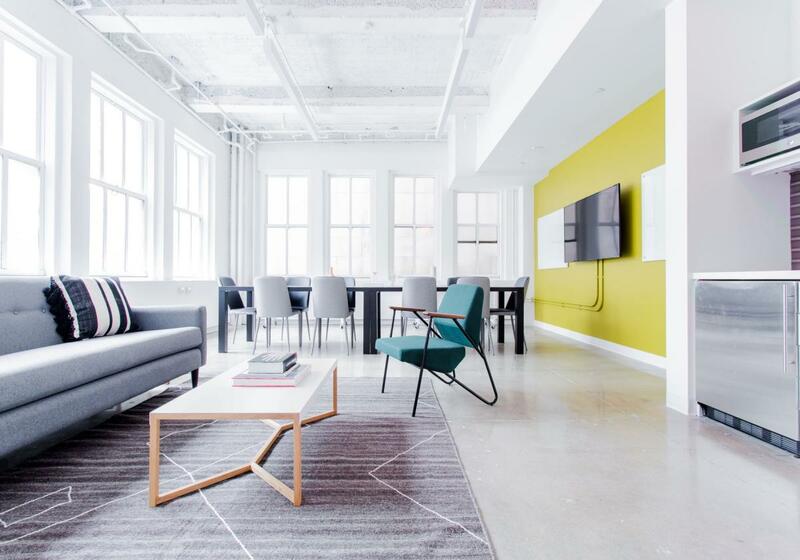 Breather New York - Midtown 108 West 39th, 9th Floor, Suite 900	 Invite the team to an inspiring off-site in this space in the heart of Midtown. With 6 tables, a comfortable lounge, an ensuite kitchen, and a breakout area, this space is great for large groups and formal presentations. 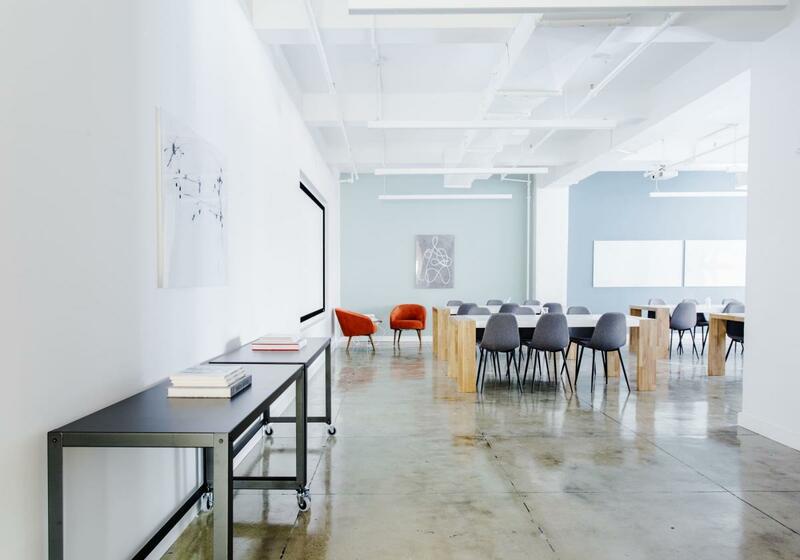 Breather New York - Midtown 108 West 39th, 9th Floor, Suite 903	 This beautiful Midtown space has a main seating area for 36, four whiteboards, a projector, and in suite kitchen, and a comfortable lounge to do your best brainstorming. Be the office hero and book this space for your next off-site. 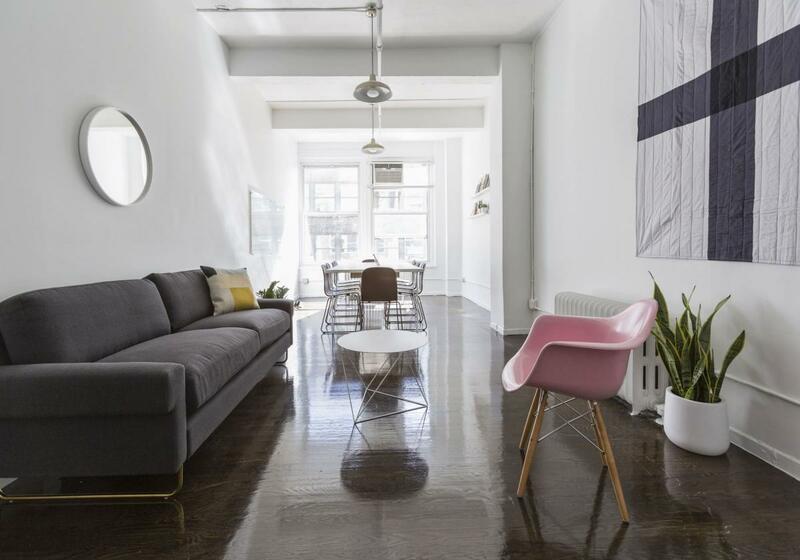 Breather New York - Midtown 115-125 West 30th Street, 11th Floor, Suite 1101	 Sleek and sophisticated, this contemporary space, located in a showroom building, is ideal for impressing buyers. Let the location’s simple design elements help you create work that is uncluttered and inspired. Breather New York - Midtown 1384 Broadway, 8th Floor, suite 802	 Located just south of Bryant Park, this Breather boasts natural light and includes seating for eight around the table. It also has a chic lounge area, perfect for comfortably meeting clients or having a quick coffee before getting back to work. 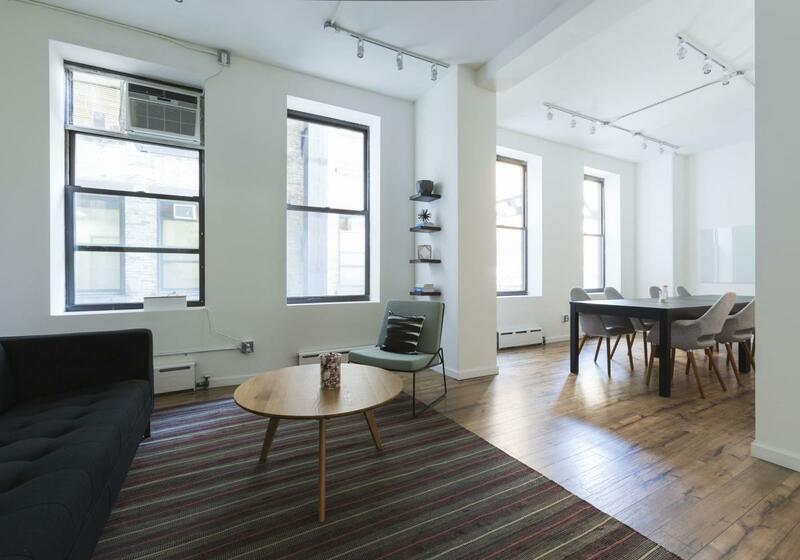 Breather New York - Midtown 1407 Broadway, 23rd Floor, Suite 2321	 Escape from the bright lights of Times Square when you step into this peaceful and productive space. Great for a brainstorming session or some heads down work, the room features a table for 8 and a corner office view that is priceless. Breather New York - Midtown 1407 Broadway, 34th Floor, Suite 3405	 Located just south of Times Square, this large Breather boasts natural light and includes seating for 14. It also has a chic lounge area, perfect for comfortably meeting clients or having a quick coffee before getting back to work. Breather New York - Midtown 1450 Broadway, 6th Floor, Suite 601	 Invite the team to an inspiring off-site in this space in the heart of Times Square. With 8 tables, a comfortable lounge, an ensuite kitchen, and a breakout area, this space is great for large groups and formal presentations. 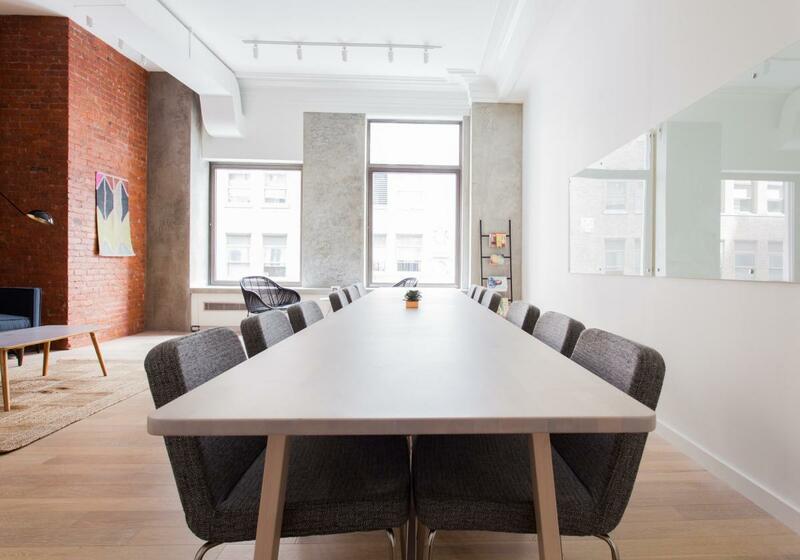 Breather New York - Midtown 183 Madison Ave, 11th Floor, Suite 1119	 This space is great for a small group meeting in a calm, peaceful atmosphere. Located on Madison Ave, the room features a table for 10 and a comfortable seating area that’s just right for relaxing when you have a minute to spare. 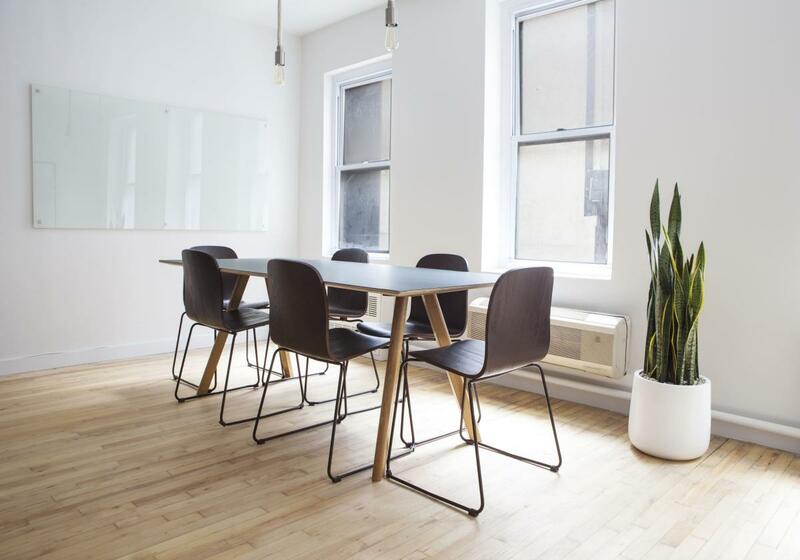 Breather New York - Midtown 2 West 45th Street, 14th Floor, Suite 1401, Room A	 Treat your team to out-of-office productivity. Located in the heart of Midtown, the spacious room has a TV, a large conference table, and a full lounge, which makes it great for day long meetings. 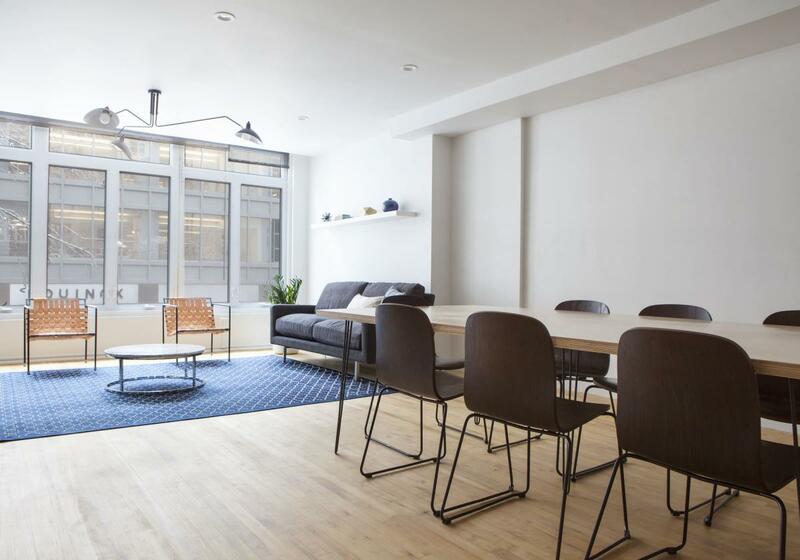 Breather New York - Midtown 2 West 45th Street, 14th Floor, Suite 1401, Room B	 Escape the Midtown madness in this peaceful space just a few blocks away from Grand Central. The spacious room has a TV, two glass boards, a table for 8, and a breakout lounge, making it great for day-long meetings. 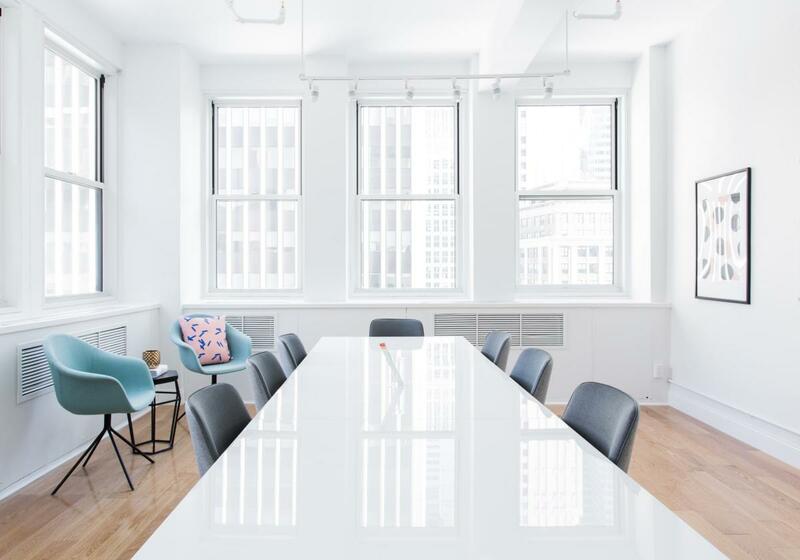 Breather New York - Midtown 2 West 46th Street, 14th Floor, suite 1404	 Let the natural light from this Breather's many windows inspire your team's productivity. 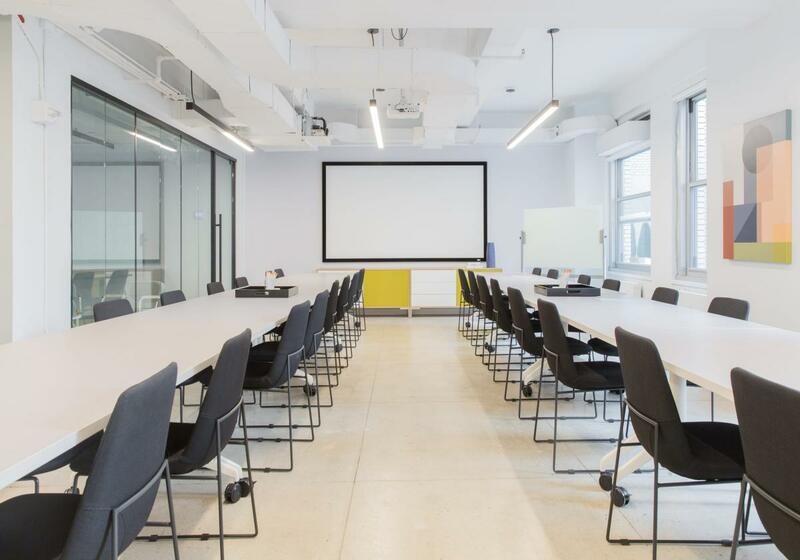 This large, colorful space offers 4 tables with seating for 24, a breakout room, two TVs, a kitchenette, as well as a large and comfy lounge area to have a breakout brainstorm. 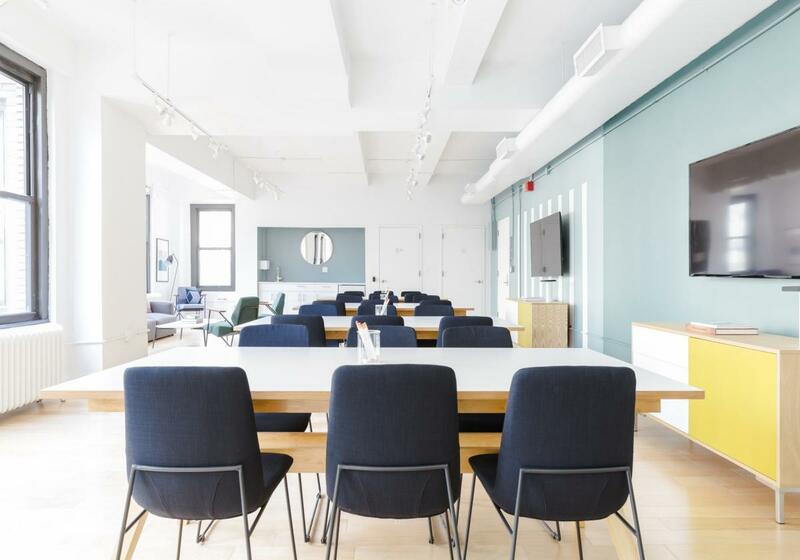 Breather New York - Midtown 213 West 35th Street, 6th Floor, Suite 609	 Just a couple of blocks' walk from Penn Station and in the heart of the Garment District, this space is perfect for gathering teammates from all over for a productive offsite. 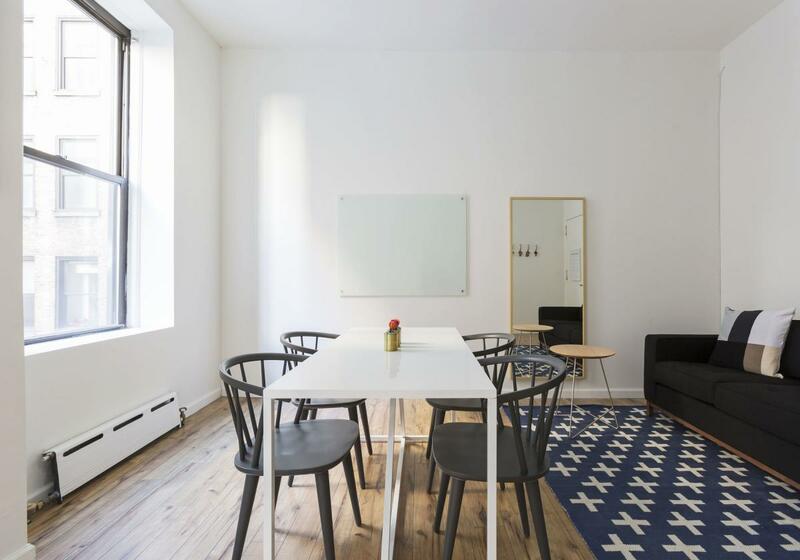 Breather New York - Midtown 336 West 37th Street, 15th Floor, Suite 1510, Room 1	 Cozy, minimal and modern, this space is great for small groups or meeting one-to-one with clients. 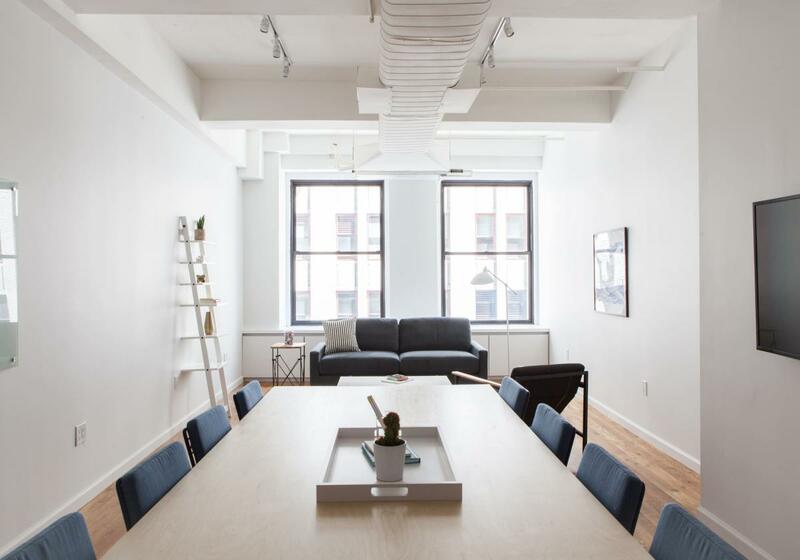 Breather New York - Midtown 336 West 37th Street, 15th Floor, Suite 1510, Room 2	 Convincing your team to reserve this minimal, modern space in the Fashion District should be easy. With tons of natural light, seating for the whole department and just the right amount of design touches, this is the perfect place to get productive. 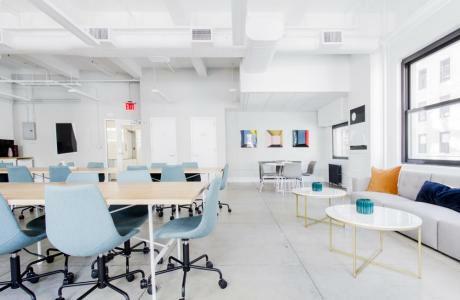 Breather New York - Midtown 336 West 37th Street, 3rd Floor, Suite 320	 Treat your team to a creative off-site in the heart of the Fashion District. 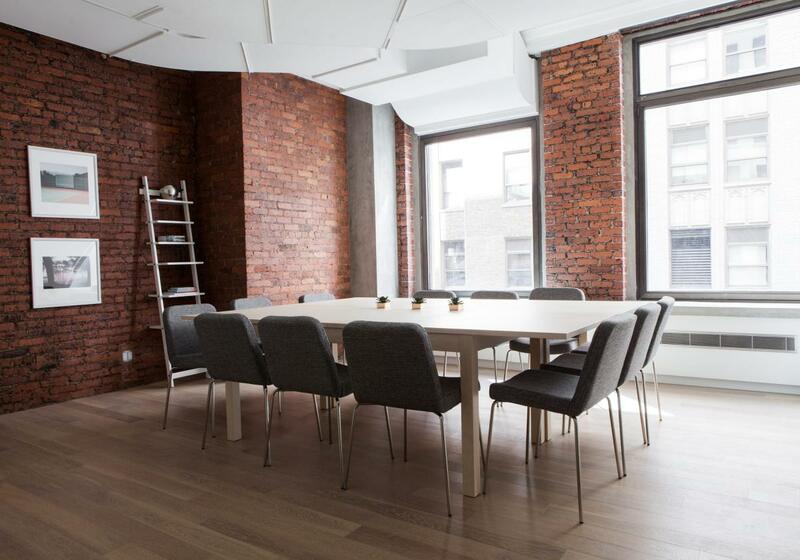 The conference table is perfect for brainstorming and designing together. Looking for a little solo productivity as well? The built-in work nooks are designed just for that. 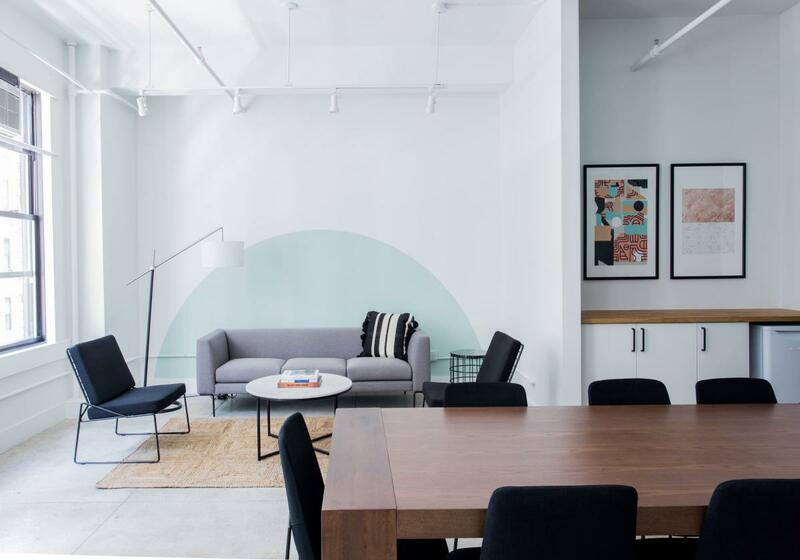 Breather New York - Midtown 347 Fifth Avenue, 10th Floor, Suite 1006	 Minimal and sleek, this Midtown location helps you focus on the work at hand. 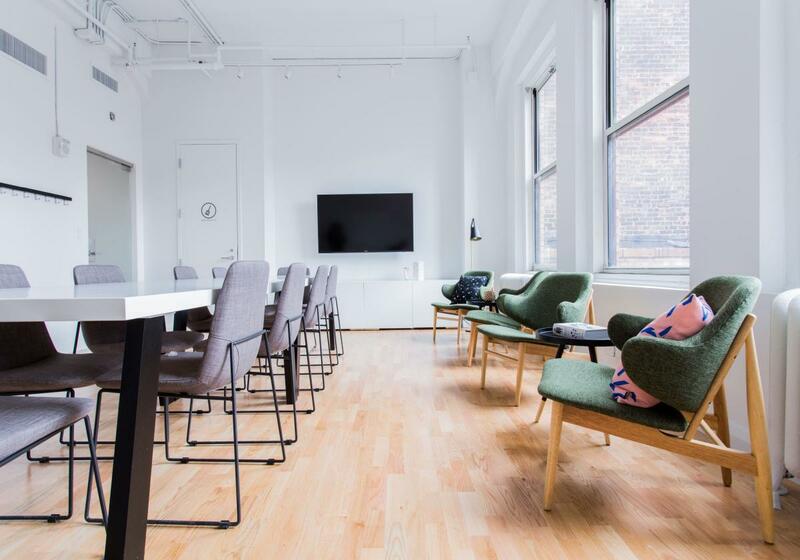 Made for small groups or solo study or work sessions, the space has lots of natural light, a white board to illustrate your ideas and a couch for mid-day relaxation. 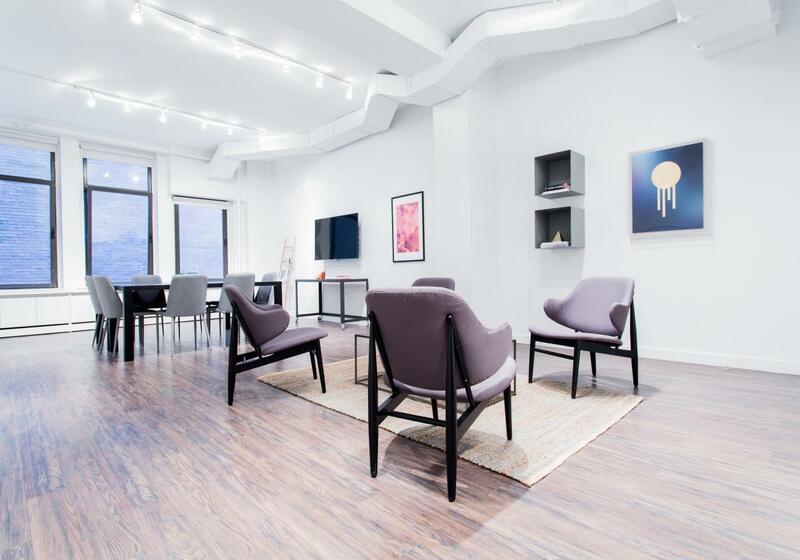 Breather New York - Midtown 347 Fifth Avenue, 11th Floor, Suite 1103	 Amazing views of Fifth Avenue and the Empire State Building are just two of the perks you get when you reserve this stellar Midtown location. Add seating for 15 to that list, along with a TV for presentations and some beautiful design elements and you’ve got a workspace that’s hard to beat. 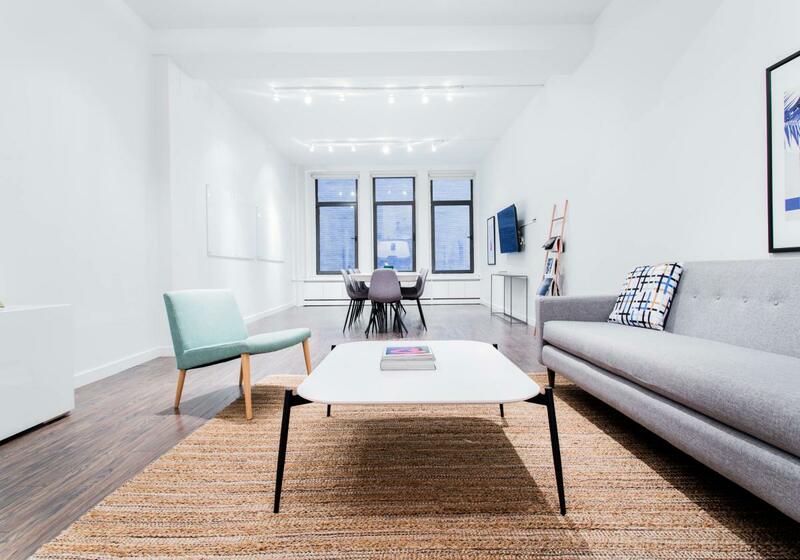 Breather New York - Midtown 347 Fifth Avenue, 6th Floor, Suite 605	 Escape the busy streets and sounds of Midtown in this cozy Breather. Get down to work around the conference table or kick back on the couch and prepare for your big meeting. 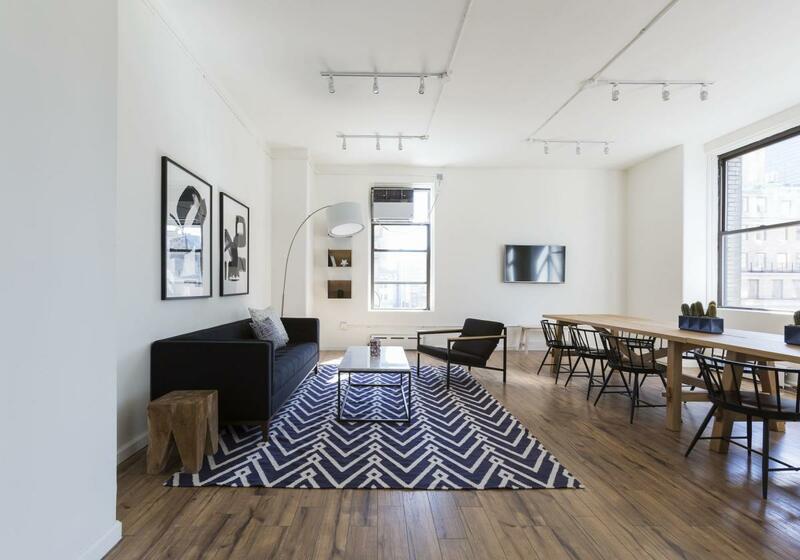 Breather New York - Midtown 347 Fifth Avenue, 7th Floor, Suite 707	 Escape the busy streets and sounds of Midtown in this cozy Breather. Get down to work around the conference table or kick back on the couch and prepare for your big meeting. 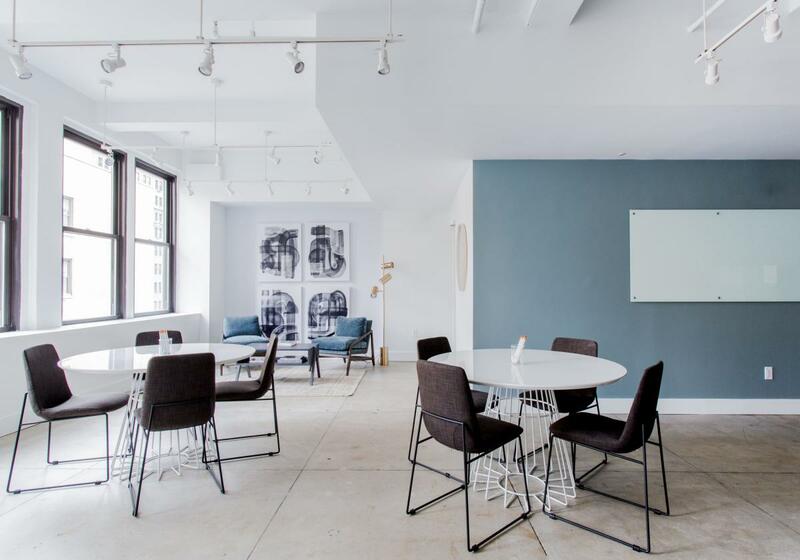 Breather New York - Midtown 37 West 57th Street, 11th Floor, Suite 1101	 Located in the heart of Midtown, this large space offers round 6 tables with seating for 24, a cozy lounge corner, a movable TV, 3 glass boards, and a kitchenette to support your best breakout brainstorm. 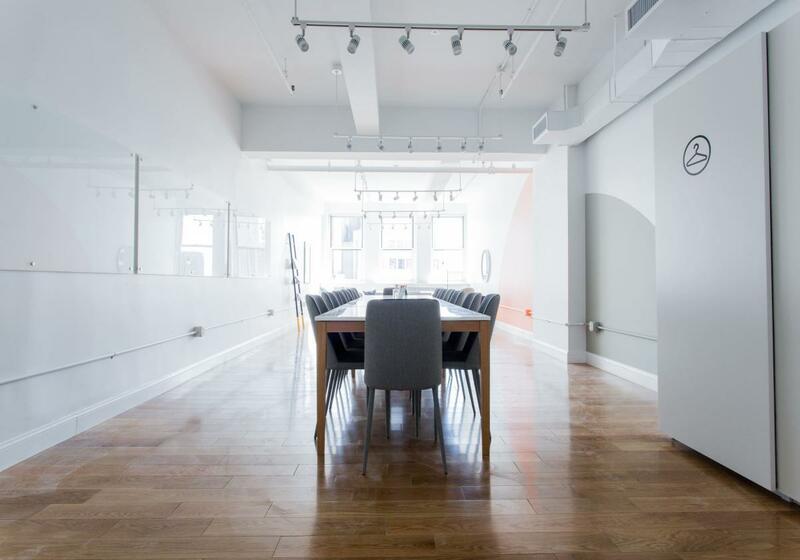 Breather New York - Midtown 389 5th Ave, 3rd Floor, Suite 300	 This beautiful space has seating for 30, two rolling whiteboards, a flatscreen TV and a comfortable lounge to do your best brainstorming. Be the office hero, and book this space for your next off-site. Breather New York - Midtown 576 Fifth Avenue, 3rd Floor, Suite 306	 Twelve heads are better than one. 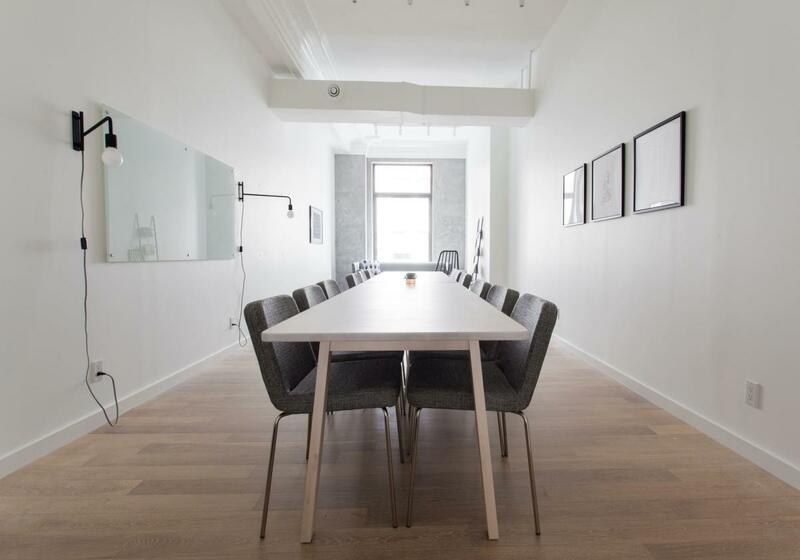 Invite your team to tackle the tough questions in this sleek, minimal space around the corner from 30 Rock. A spacious table and lots of seating make it a no-brainer for large groups. 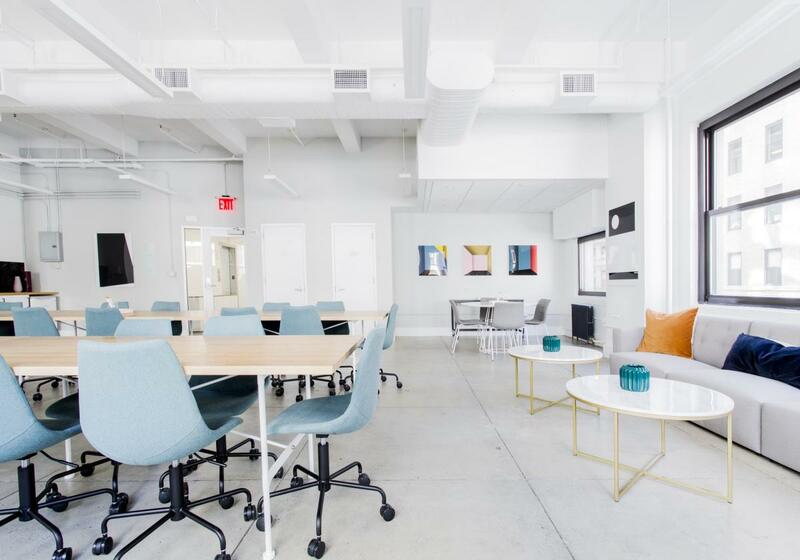 Breather New York - Midtown 576 Fifth Avenue, 3rd Floor, Suite 307	 Great natural light, lots of space and ample seating make this Midtown space perfect for day-long work sessions. 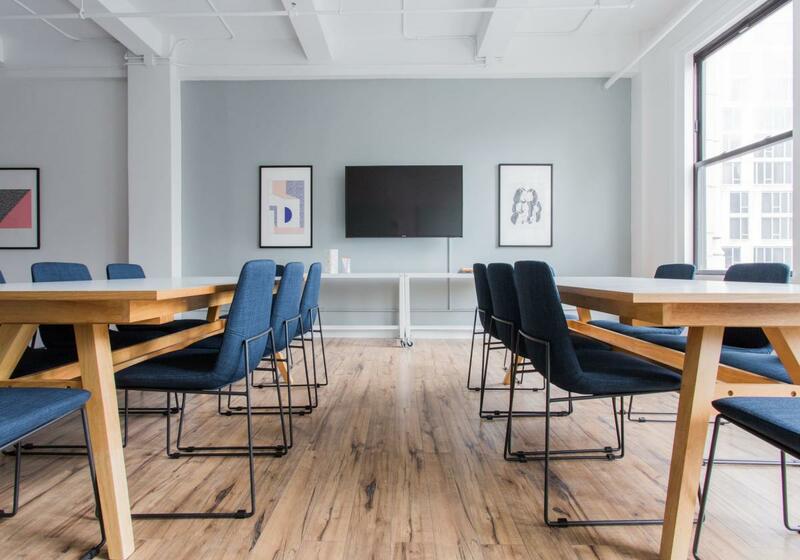 Breather New York - Midtown 576 Fifth Avenue, 4th Floor, Suite 405	 With its brick wall and classic leather chairs, this Fifth Avenue meeting room has a grownup serious vibe that’s sure to translate into your next presentation. Seat twelve comfortably around the table and get inspired by the natural light and the buzz of Midtown. Breather New York - Midtown 608 Fifth Avenue, 8th Floor, Suite 809	 This sleek midtown Breather offers conference table seating for 10, a kitchen, and a lounge to maximize your team's productivity. 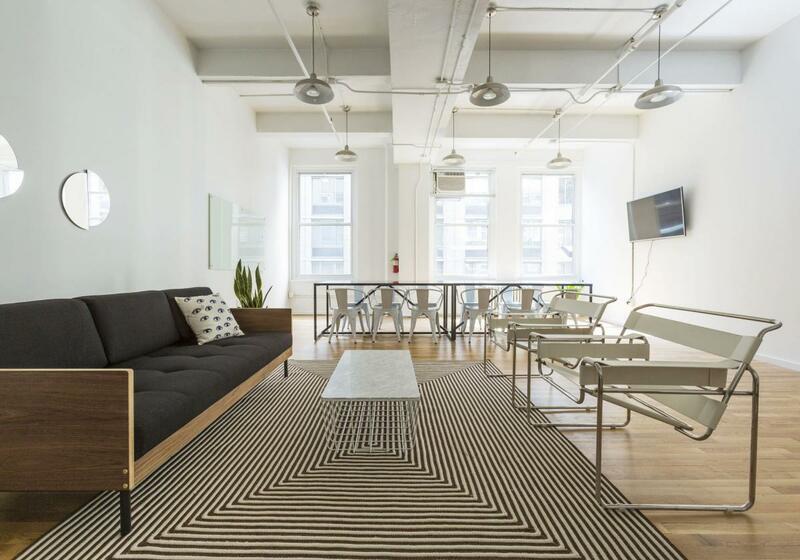 Breather New York - Midtown 9 East 53rd Street, 3rd Floor, Suite 1	 Treat your team to out-of-office productivity. Located in the heart of Midtown, the spacious room has a TV, a large conference table, and a full lounge, which makes it great for day long meetings. 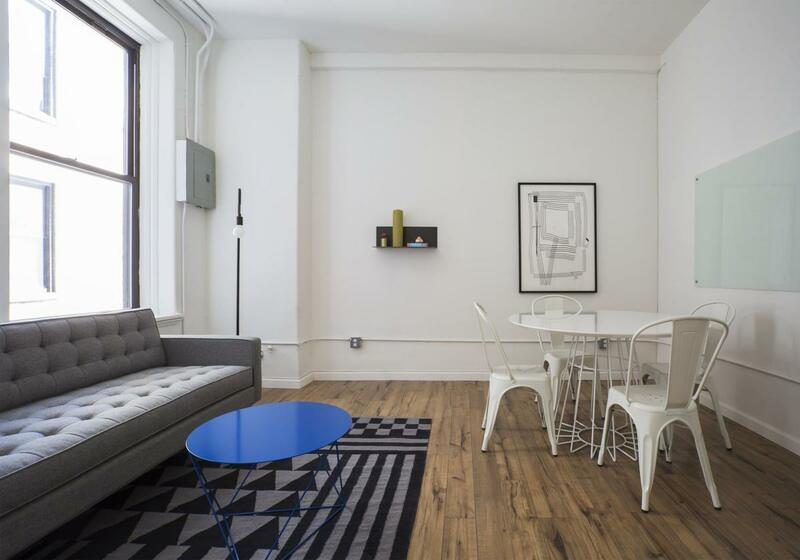 Breather New York - Midtown 9 East 53rd Street, 3rd Floor, Suite 2	 Escape the Midtown madness in this peaceful space just a block away from the MoMA.